From compact saws for household use to high-performance saws for the serious user – the chain saw range from solo by AL-KO has it all. 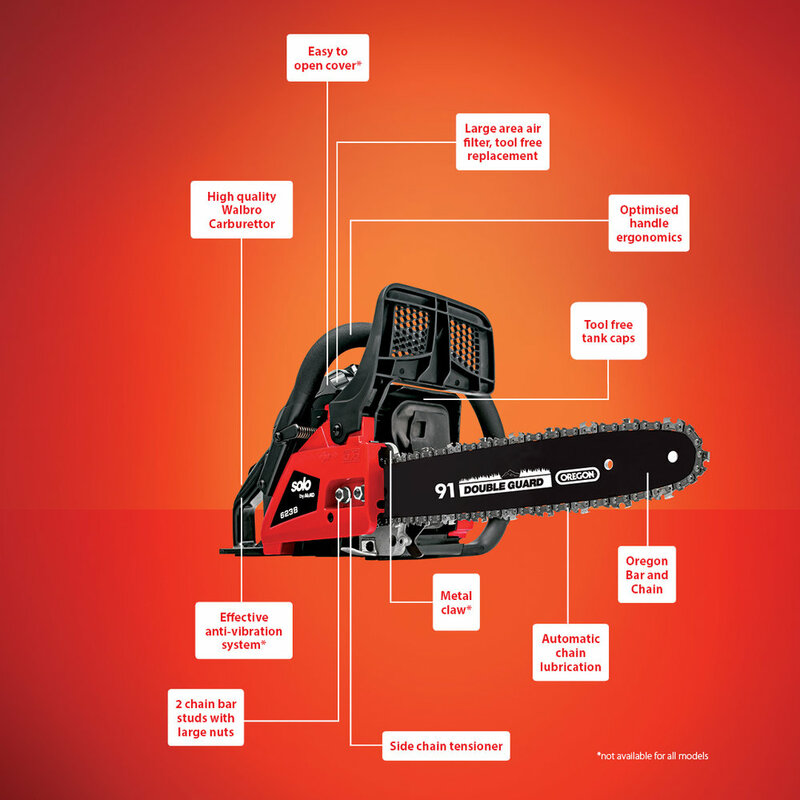 All saws have the same high, uncompromising quality, safety and user-friendly features. The powerful 2-stroke engines and blade sets appropriate for the respective model always ensure effective and clean cutting results.